TERRAHAWKS COLLECTABLES, MISC- Sweets packet, Alma Jellies. 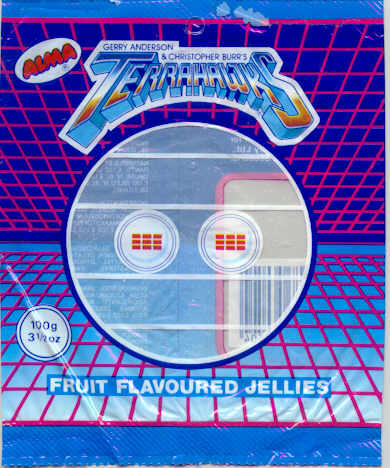 Confectionary Packet, Fruit Flavoured Jellies. ALMA - made in Belgium for Confectionary Ltd, Kirkaldy, Scotland. 100g packet, sold for 19p (packet has price sticker on reverse).